As I mentioned in the previous article, there is no single cause for depression. Therefore, there is no single effective treatment for depression. Commonly used anti-depressants all have side effects. Although the treating psychiatrist may switch the medication from one kind to the other, or adjust the dosage, the results from this “band-aid” approach are not necessarily desirable. Since depression is caused by feelings of some sort of loss, or of being “stuck” or “trapped,” the treatment should focus on how to become “unstuck.” A Harvard trained physician, Dr. James Gordon, has employed a holistic approach to treating Post-Traumatic Disorders among teenagers who have experienced various wars. The end results to his approach were a significant reduction in depression and violence. A yeast-free nutritional program containing no sugar, no dairy, no wheat, no yeasts, no caffeine, no nicotine, nor chemicals, will nourish your body and starve the little enemies within: yeasts and parasites. Otherwise, yeasts and parasites can be very active at night when the environment is relatively still. This can keep you awake or cause sleeping disorders. To learn what to eat and what to avoid, follow my yeast-free cookbook, Healthy and Tasty: Dr. J’s Anti-Yeast Cooking. When your body is loaded with toxins, it becomes fatigued due to being overworked in trying to purge all the toxins. In order for your body to activate the innate intelligence to heal itself, one needs to remove existing toxins. Our Herbal Detox program (consisting of Yeast-Para Control and Cleansing-Balance Tea) are excellent to achieve this purpose. Meditation is a practice to achieve a state of calmness and peace. Some people also use this practice to train the mind to develop insight. When the mind is centered, the body functions better. Many people report that both their mental and physical health improve after a period of meditation. 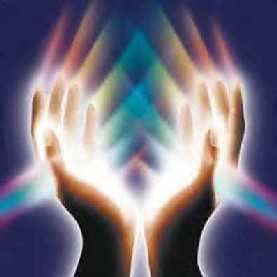 In the case of depression, it’s very helpful to gain insight into the causes of depression, and invoke solutions from your higher self, or supernatural power. In the western world, people are always pressured for time. There is fast food, fast photo, and so on. Thus, I came up with “fast meditation” to suit the needs of people living in a contemporary society! Based on my more than thirty years of experience in meditation, I have designed a 10-minute meditation technique which can quickly help you quiet your mind and give you a sense of peace and deep relaxation. If you wish to learn about this 10-minute meditation, please read my book, Breaking the Yeast Curse: Food and Unconditional Love for Magic Healing. Once you have gained insight into the causes of depression (whether it’s personal or business affairs), visualize solutions. Focus on what you want. Rewrite the script for your life drama, and visualize that the new script is well-acted by you, the main actor (star). Fake it until you make it! Your subconscious mind does not know the difference. Your mind would only manifest for you what you impress upon it. Watch funny movies often and have a good laugh! Remember the good old saying, “Laughter is the best medicine”! Our Female Vitality or Male Vitality would also be helpful in increasing your energy, improving mental clarity, and uplifting your mood. As you are aware, exercise improves blood circulation and increases energy flow. Lack of exercise can cause sluggish blood flow. A stagnant environment can become an incubator for yeasts to overgrow. When blood circulation is smooth, toxins in the body can also be flushed out more easily. Slow walking is the preferred form of exercise for people who are depressed. Depending on your energy level, you may start from 10 minutes of slow walking to 30 minutes or one hour a day. Choose the best time of the day you can walk consistently. If you can choose a location where there are trees and/or flowers with white clouds and blue skies, the effect will be further enhanced. If not, walking around in a shopping mall is just fine. Remember, express your gratitude first, and then ask for more help! The conventional treatment for hypothyroidism (underactive thyroid) is using synthroid at various dosages to match with your body’s production of triiodothyronine (T-3) and thyroxine (T-4). Synthroid is a synthetic hormone identical to the natural hormones in your body. Because the production of T3 and T4 fluctuates based on your body’s need to metabolize sugar and fats you consume, the dosage of synthroid needs to be adjusted to avoid overdose of the drug. Frequent visits to your doctor’s office are essential for blood tests to determine the T3 and T4 levels. Many of my clients have decided to take their health in their hands by improving their life styles, and go for natural remedies. As mentioned in previous articles, excessive intake of sugar and fats make the thyroid gland overworked and exhausted. Therefore, it’s essential to feed your body with a yeast-free nutritional program that contains no sugar, no dairy, no wheat, no yeasts, no alcohol, no caffeine, no nicotine, nor chemicals. These items are favorite foods for yeasts and parasites. When you are on the yeast-free nutritional program, you feed your body – but starve the little enemies within. To learn what to eat and what to avoid, follow my yeast-free cookbook, Healthy and Tasty: Dr. J’s Anti-Yeast Cooking. Yeasts and parasites develop colonies at the weak parts of your body. Herbal therapy is essential to getting rid of the excessive yeasts and parasites so your body’s innate intelligence will have a clean slate to heal. Since yeasts and parasites are like Siamese twins (they go hand in hand) a potent herbal formula is needed to remove both yeasts and parasites simultaneously. Yeast-Para Control is designed for this purpose. Cleansing-Balance Tea is designed to cleanse your liver and kidneys, and remove the “debris” created by Yeast-Para Control. 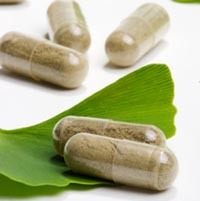 Therefore, the combination of Yeast-Para Control and Cleansing-Balance Tea works wonders for detoxification! Female Vitality or Male Vitality is designed to balance your hormones, increase cool, calm energy, improve your mental concentration, metabolism, and productivity, reactivate your libido, and uplift your mood. For those who want to reduce the dosage of synthroid or not taking synthroid at all, Female Vitality or Male Vitality is a good supplement or replacement. Stress is part of daily life. Stress can be a motivating force for you move forward. One just needs to learn stress management techniques to make stress work for you instead of against you. Daily meditation, stress releasing technique, prayers, affirmations and meditative walks are all helpful self-administered methods to manage stress properly. For details regarding all these stress management techniques, please read my book, Breaking the Yeast Curse: Food and Unconditional Love for Magic Healing. The trace mineral iodine is essential for the production of thyroid hormones. Many Americans have iodine deficiency. Sea vegetables such as kelp is an excellent source of iodine. One table spoon of kelp yields approximately 12 mg of iodine while the daily recommended dosage is only 150 mcg (1mg =1,000 mcg). Eating sea vegetables regularly will help maintain a strong thyroid function. There is a recipe for Seaweed Tofu Soup in my yeast free cookbook, Healthy and Tasty: Dr. J’s Anti-Yeast Cooking. The above natural remedies have proven very effective for the treatment of hypothyroidism (underactive thyroid). Depending on the T3 and T4 levels in your blood tests, you may want to wean yourself off of synthetic hormones by incorporating these natural remedies. For consultation on yeast-free nutrition, herbal detox, hormonal imbalance, weight control, stress management, and spiritual counseling, please call us at (800) 715-3053 or send an e-mail to drj@drjsbest.com. Consultation sessions over Skype or the telephone are also available. For more information, visit our website at www.drjsbest.com. 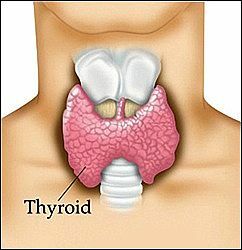 Your thyroid gland produces two main hormones, triiodothyronine (T-3) and thyroxine (T-4). They maintain the rate at which your body uses fats and carbohydrates, help control your body temperature, regulate heart rate and the production of protein. Your thyroid gland also produces calcitonin, a hormone that regulates the amount of calcium in your blood. According to the Mayo Clinic, causes of hypothyroidism include auto-immune disease (Hashimoto’s thyroiditis), overtreatment of hyperthyroidism, radiation therapy for cancer, side effects of some medication such as lithium, thyroid surgery, and congenital conditions. The Mayo Clinic staff claimed that the causes of auto-immune and congenital diseases are unknown. The known causes are actually the results of mistreatment by the medical professionals. Excessive intake of sugar and fats make the thyroid gland overworked, and then exhausted. When the thyroid gland is sluggish, the production of T3 and T4 are not sufficient to metabolize the overload of sugar and fats. So, the vicious circle continues. The end results are weight gain from sluggish metabolism, puffiness of the face, swollen ankles or swollen feet from water retention, cold hands or cold feet from poor temperature regulation, fatigue from insufficient use of the energy from food, hair loss from toxin build up in the kidneys, depression from low energy and a cluster of physical and mental symptoms, the list goes on. As I stated in previous articles, yeasts and parasites develop colonies at sites that are weak in your body. When your thyroid function is weak, this area becomes a good incubator for yeasts and parasites. Of course, this creates another vicious circle for the already sluggish thyroid gland. Stress, if not handled properly, can tense up all the organs, glands, nerves, and cells, and deplete the supply of blood, oxygen and nutrients to support their proper functions in your body. Thus, a series of psychosomatic diseases can occur in addition to hypothyroidism. The trace mineral iodine is essential for the production of thyroid hormones. If there is insufficient iodine in your diet, hypothyroidism can result from this deficiency. The above causes are the most common for hypothyroidism according to my clinical experience. The good news is that there are natural remedies without the need for drugs or surgery. Stay tuned. I will discuss holistic treatment methods in the next article. According to the American Association of Clinical Endocrinologists, an estimated 25 million people have some form of hypothyroidism, but only half have been diagnosed. What is thyroid? What is hypothyroidism? The thyroid gland is a butterfly-shaped gland in front of your windpipe. Hypothyroidism (underactive thyroid) is a condition in which the thyroid gland does not make enough of a hormone called thyroxine. Thyroxine governs your body’s metabolism and helps control how your body uses energy and how well your cells, tissues and organs work. Therefore, not having enough thyroxine can cause unpleasant symptoms throughout your body. In some cases, an enlarged thyroid gland, slowed heart rate, and infertility may occur. In the next few articles I will discuss causes and treatment for hypothyroidism. Stay tuned! For consultation on yeast-free nutrition, herbal detox, hormonal imbalance, weight control, stress management, and spiritual counseling, please call us at (800) 715-3053or send an e-mail to drj@drjsbest.com. Consultation sessions over Skype or the telephone are also available. For more information, visit our website at www.drjsbest.com. Do you talk very fast? Is your speech slow or slurred? Are you a smart thinker and yet a slow learner? Are you prone to motion-related phobias (such as fears of moving elevators, escalators, cars, planes, trains, or crowds)? Are you often depressed, anxious and irritable? If you’ve checked off more than three items, then chances are you are among the five million Americans who suffer from Attention Deficit Disorder (ADD) or ADHD! Despite the growing attention this disorder has received in the past few decades, the diagnostic and treatment process remains elusive, complex, and inclusive! The most common physical factor I have found, which may be shocking to many, is yeast infection involving the inner or middle ears. Dr. Harold Levinson in his book, Total Concentration (1990) states that more than 80% of patients with ADD he has seen suffered from inner-ear infections. He explains in great detail how the inner-ear system or the cerebellar-vestibular system (CVS) controls the flow of sensory information entering the brain. When this system is impaired by infections of the inner ear, your vision, hearing, balance, senses of direction, motion, altitude, depth, and smell, and all motor information leaving the brain can be scrambled. Consequently, this auditory drift results in problems in balance and coordination, concentration, memory, hyperactivity and impulsiveness. In some cases, speech timing is off, which can result in rapid speech or slow, slurred speech. A malfunctioning inner ear has difficulty processing motor input; this in turn makes the affected individual prone to motion-related phobias such as fear of moving elevators, escalators, cars, planes, trains, buses and crowds. What Dr. Levinson failed to address was what this inner-ear infection is all about and what causes it. In my experience, this inner-ear infection is yeast infection that can be contracted before or after birth. If a pregnant woman has yeast infections, she can give the infections to her baby through the blood stream and/or birth canal. The baby can be born with yeast infections manifesting symptoms such as eye or ear infections, respiratory tract congestion and colic. Mary, a 19-year-old Caucasian college student was brought to my office because of her impulsive eating, which resulted in overweight problems, poor mental concentration, resistant behavior, constant chattering, rapid speech, poor academic performance and low self-esteem. Mary exhibited the above behavior while she was in the elementary school. She was doing fairly well while she was placed in a private high school with a structured routine. After entering college, she was overwhelmed by the “complicated life of a sophomore” and her previous pattern of ADD behavior began to worsen. The Standard American Diet (SAD) has created many SAD stories. Over-consumption of food containing sugar, dairy, wheat, yeast, alcohol, caffeine, nicotine and chemicals (including food preservatives and coloring, and heavy metals) has caused every American yeast overgrowth at one time or the other, to a greater or lesser degree. Symptoms of yeast disorder that contribute to ADD include headaches, poor mental concentration (foggy mind), middle or inner ear infections, strep throat, nasal congestion, mood swings, depression and phobias. Many people with ADD live in an environment that contributes to or worsens their disorders. 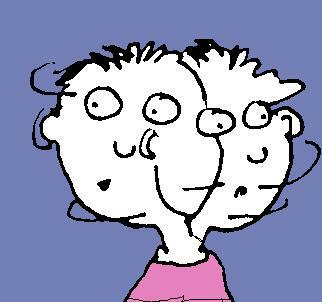 Children with ADD or ADHD often have parents who also suffer from ADD. Some parents recognize their disorders; however, most don’t. Many schoolteachers also have ADD, but most don’t recognize or don’t want to admit to the affliction. Stress due to parents’ divorce, illness, financial hardship, etc., also can complicate a child’s ADD or ADHD. If ADD or ADHD is untreated during childhood, the symptoms will continue into adolescence and adulthood. If the environment is non-understanding and non-supportive, the difficulty in dealing with everyday demands will be exacerbated. In the next article, I will discuss the treatment of ADD or ADHD. Stay tuned! For consultation on yeast-free nutrition, herbal detox, hormonal imbalance, weight control, stress management, and spiritual counseling, please call us at (800) 715-3053, or send an e-mail to drj@drjsbest.com. Consultation sessions over Skype or the telephone are also available. For more information, visit our website: www.drjsbest.com. In order to control your weight permanently, you need to nourish your body, mind, and spirit on a consistent basis. As described in the previous article, it’s important to follow a yeast-free nutritional program so your body will not suffer new assaults. It’s also important to use Herbal Cocktail to curb your appetitite and sugar craving, Fitness Regular as a fat blocker, and Fitness Plus as a fat burner. Psychological stress, if managed properly, can be motivating and beneficial. The first step is to accept instead of resist stress. Accept the fact that you are being challenged and that every challenge gives you an opportunity to grow and expand. Life is like school: before you can obtain a diploma or degree, you must be willing and able to do your homework and pass a series of tests. The good news is that even if you fail, the universe will provide you with unlimited opportunities to go through the tests again and again until you past them! Therefore, your clock is not ticking. Time is irrelevant! Follow the Emotion Releasing Technique instructions in Chapter 11 of Breaking the Yeast Curse: Food and Unconditional Love for Magic Healing, to release your psychological toxins and allow yourself to move on with your life with a clean slate. 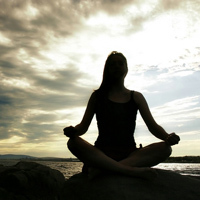 Some self-administered techniques such as self-hypnosis, meditation, prayers and affirmations can also be helpful in reducing stress physically and psychologically. If psychological stress becomes paralyzing, then you should seek competent professional help. Spiritually speaking, we all chose our destiny when we were born into this life. No matter what kind of life situation we are in, we are given an opportunity to prove that we have the strength, tenacity, wisdom and faith to overcome obstacles and excel. Use the principles described in Chapter 11 of Breaking the Yeast Curse: Food and Unconditional Love for Magic Healing to understand, accept, forgive and release. Once you can release the negative emotions toward those who have done you wrong, you can release the negative past that has been haunting you. When you no longer carry the old baggage, you no longer carry the excess weight! Love and respect yourself as the most unique, creative and miraculous person in the world. If you cannot accomplish this on your own, seeking help from a spiritually-oriented, well-grounded therapist can be fruitful. One last thing I want to stress is the importance of exercising daily. It’s common sense that exercise improves your blood circulation, brings more oxygen to your body cells, burns calories, and generates endorphins. Endorphins are natural hormones, and are considered as morphine from within. Morphine is a pain killer. If you experience stiffness or arthritic pain, exercise will reduce or eliminate the aches and pains. From a psychological perspective, endorphins also gives you calm, high feelings. Because these feelings don’t last, you need to exercise everyday to generate new supplies of endorphins. You might say, “I don’t have the membership to a gym!” You can exercise without a gym. You can do slow walking in your neighborhood or in a park for 30 minutes a day, or you may jog in place for 10 minutes a day to start. When there is a will, there is a way! Your weight and health problems did not occur overnight. Naturally, becoming trim and getting well takes time. Only your complete understanding of the illness and wellness process, as well as commitment and patience, will bring you positive and permanent results!